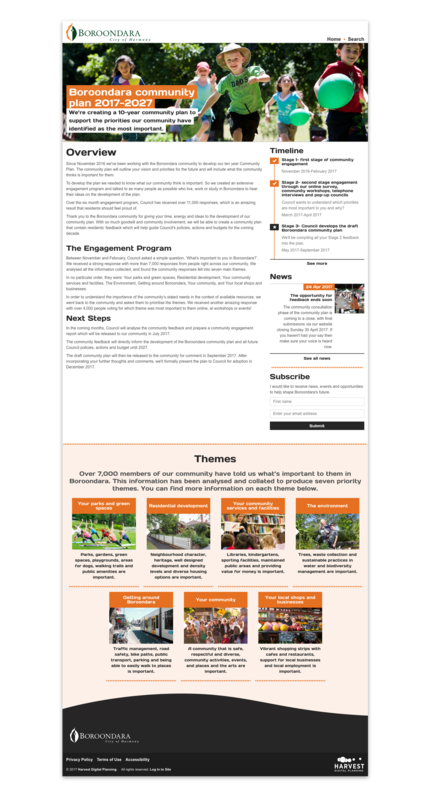 The City of Boroondara wanted to expand their extensive community engagement for their Community Plan by having an online tool. Through a discovery process, Harvest collaborated with the City and its other suppliers to develop a site that showcased the key themes on the Community Plan and invited users to contribute their thoughts. At the heart of the engagement was a simple but sophisticated participatory tool where users could allocate a limited number points against the themes they prioritised. 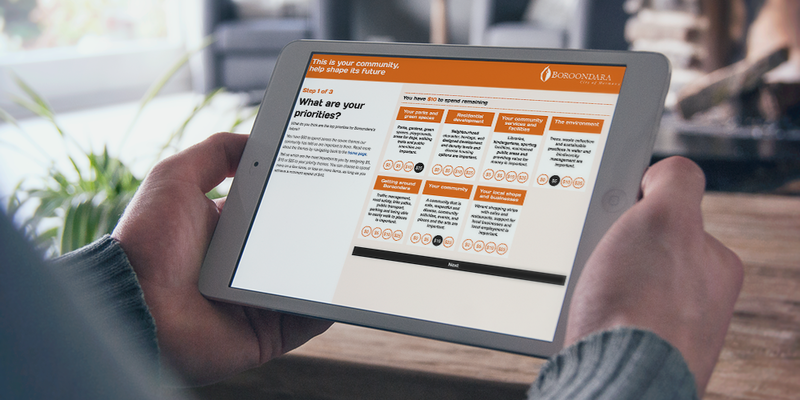 The tool was designed so that the users had to make a choice to prioritise certain themes.They could then provide free text information on why they had prioritised the themes that way. Finally, they were asked for demographic information. This engaging use of gamification led to the project receiving over 2000 submissions in a three-month period and the City were able to use this information to inform the next stage of the plan.